If you’re in the market for some diamond jewelry, being that there are so many stores and private jewelers to choose from, it’s important to know about some of the do’s and also some of the don’ts that come with making such an expensive purchase. So, before you begin your search, please take a moment to read this article. It will share with you three things that you should do and three things that you should avoid when it comes to going diamond jewelry shopping. That way, you can be confident that you found the perfect piece of jewelry – one that is beautiful and affordable too. DO know what you want. Unfortunately, there are a lot of people who go to jewelry stores or even shop online for diamond jewelry without knowing how to find the best-looking kind of diamond. It needs to be as colorless as possible. It needs to have very little inclusions (internal flaws) or blemishes (external flaws). It’s also a good idea to know the kind of cut that you’d prefer. To get more information on how to choose a quality diamond, visit Lumera Diamonds and put “how to choose a diamond” in the search field. DON‘T avoid using a referral. Sure diamond jewelry is beautiful to look at. However, being that it’s also an investment, you might want to ask some people you know (or even someone you notice has an amazing piece of jewelry on) where they got some of their pieces. A good referral can save you a lot of time and might also save you a few dollars too. DO buy from a fine jeweler. Just like you would go to a reputable dealer to get a car, you definitely need to find a fine jeweler to get your jewelry from. Look for the kind of individual who has lots of experience and also is credentialed. A lot of professional jewelers are GIA Graduate Gemologists. You cannot go wrong looking for someone with this kind of education. DON‘T get a stone that’s not certified. If the diamond you’re considering is not certified, then it’s not one that you should buy. Any diamond that is worth its price tag is going to have some paperwork to prove it; it’s going to reveal that it’s accredited from a lab. As far as which lab accreditation that you should look for, GIA and AGS are considered to be the best. For more information on GIA, visit GIA.edu. For more information on AGS, visit AmericanGemSociety.org. DO stick to your budget. No matter how appealing a diamond might be, it’s not going to make sense to get one that isn’t going to put you into debt. 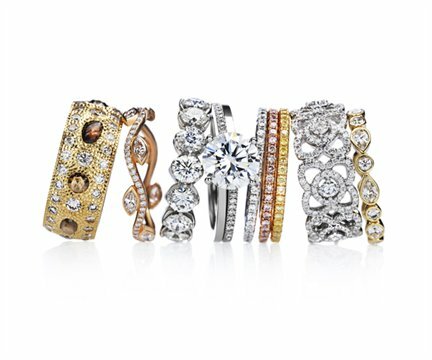 So, as you’re considering which piece of jewelry to buy, don’t forget to take your budget into account. If you’re willing to be patient with the process, you can find some pretty nice diamond jewelry at a price that you can afford. DON‘T get a stone that’s set. If you’re looking for some fun body jewelry, a store like Body Sparkle Body Jewelry can provide you with some great options to choose from. But when you’re looking for fine diamond jewelry, make sure to go to a fine jewelry store. In fact, if you’re shopping for an engagement ring or some other type of signature piece, it’s best to get a loose rather than a set stone. For one thing, it’s sometimes cheaper. Also, if you after buying a loose one, you decide that you’d prefer to go with another diamond instead, they’re easier to return. For more information on loose diamonds, visit Diamonds.pro and put “loose diamonds” in the search field.